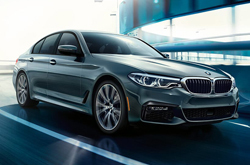 What's New for the 2019 BMW 5 Series? The BMW 5 Series has long garnered interest because of its performance and visual appeal. The new 2019 is targeted to attract more attention with its lighter frame and dependable powertrain. This series is expected to also provide drivers with design updates. With a shorter body and back-end similar to the 6 series, this version offers a traditional BMW front-end and new features that provide utility and style. This vehicle is available in the 530i, 540i, and 550i versions with a choice from all-wheel and rear-wheel drive options. Luxury, premium, executive packages are available along with a variety of additional upgrades. These new vehicle upgrades include in-car entertainment options, such as the premium speakers, auxiliary audio input with external media controls, and the surround audio features. 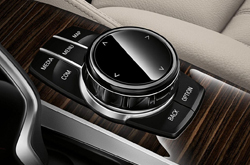 The trims and features of this new BMW include an updated interior. It provides luxurious details with a simple layout display. These high-quality materials create a sophisticated overall appearance. The new dashboard has removed the classic physical button features. 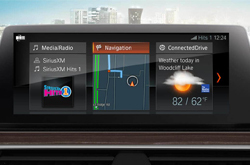 Now drivers will be able to utilize touch options, along with technology advancement. The standard auto-parking feature is new to the design. How Powerful is the BMW 5 Series Engine? Some of the most significant upgrades to this series can be seen under the hood. The standard engine is a 2.0L inline 4-cylinder drivetrain specification. This provides 248 horsepower and a towing capacity of 200 aided by a turbocharger. The base engine offers improved performance and gets 27 mpg on the open road. The top range engine is a V8 that increases horsepower to 455 for M models. Does the BMW 5 Series Combine Safety and Power? There are a few safety features that make this series stand out, such as dual front side-mounted airbags, front and rear airbags, child seat anchors, and the Pre-Collision Safety System. This series offers a 40-year history and combines speed and craftsmanship in its new design. Through personalization processes, it is possible for buyers to find the exact sedan of their dreams. This is done by tailoring features, colors, and details to suit individual needs and tastes. Please call 844-868-3130 for further assistance.